There are some players who unfortunately missed the plane ticket to England. The most colossal saga of this year, 50 over cricket World Cup is gonna take place right after the bravado of IPL 2019. The cricketing fraternity is already gearing up for the non-stop action they are gonna get in such short amount of time. After 20 long years England, the home of cricket is again going to host this mega event. It is the most coveted trophy in white ball cricket, but in recent times the format has been the least popular among fans and that’s why this WC holds a key for the survival of 50 over cricket. Australia are entering the competition as defending champions as they won the previous edition at their home. The Kangaroos are the most successful team in this event, as they have lifted the trophy for a record 5 times. Cricket Australia (CA) has been going through a lot of turmoil in the last one year but the team is hopeful of putting up a good show again. The squad for the WC has been finalized by CA, but there are some players who unfortunately missed the plane ticket to ENG. Alex Carey, the South Australia keeper-batsman is going to play his first World Cup in ENG. He made his ODI debut last year against the visiting England team at Brisbane. Since then he has been a regular behind the stumps for the team in white ball cricket. Till now Carey has played 19 matches in which he has scored 450 runs, but has been inconsistent with his performances. Carey has only one half-century to his name and his strike rate is also 83 so the CA has picked him only on the basis of his keeping skills. In a tournament like WC, wicket-keeper is a vital cog in the playing XI, as he should be able to stand up with his batting skills in crucial ties and that’s where Handscomb could have been a better choice ahead of Carey. Peter Handscomb is an excellent batsman who can keep up the tempo in middle overs. He is also good with his keeping skills which he showed whenever he donned the gloves. 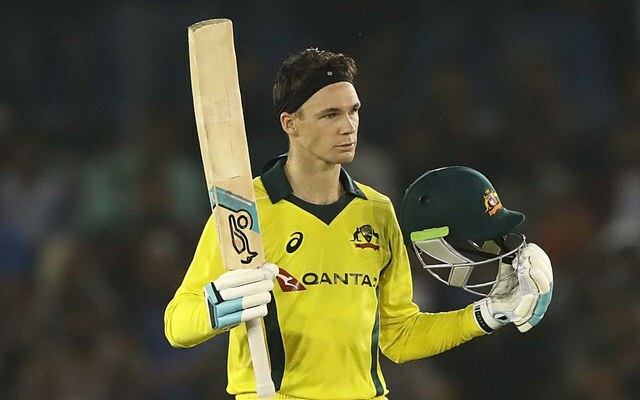 Handscomb has been in good form as in his recent India and Pakistan tourney he scored over 400 runs in 10 innings batting at no.4 with a strike rate of 96. In his limited opportunities he has impressed everybody with his multifaceted skills.